【Material】: High hardness mineral glass (Key scratch resistant),stainless steel case back,compressive and abrasion resistance Comfortable to wear. 【Waterproof For Daily Use】: 30M Water Resistant. Handwash, swimming, no problem! NOTE: Please DO NOT pull out the button under the water. 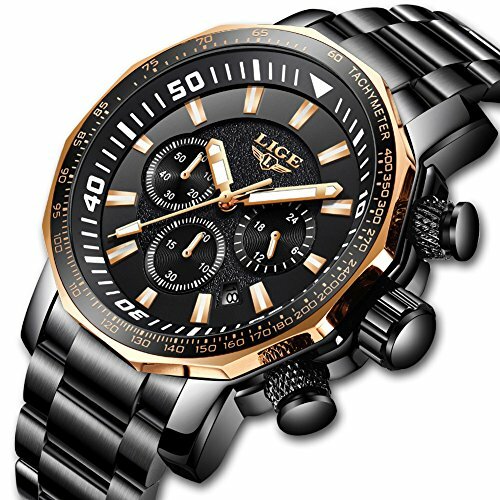 【Best Service】Watch warranty for 2 years,30 day money back guarantee，Have any questions can contact us any time.